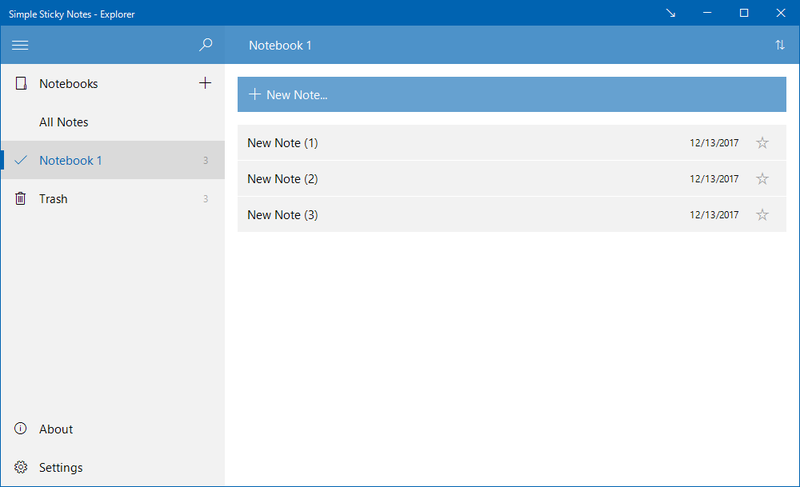 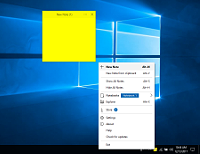 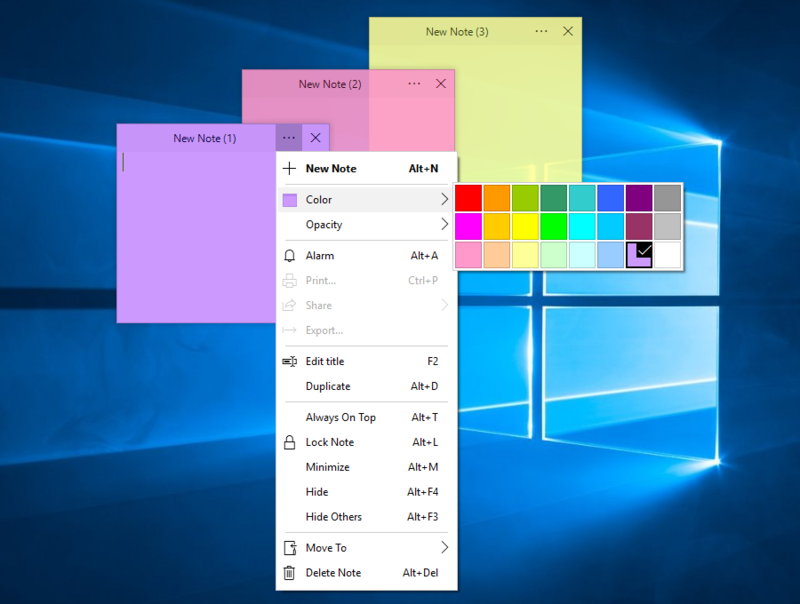 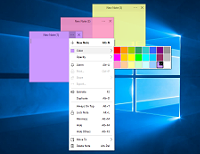 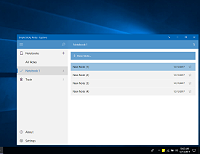 Tray menu, If you want to add a new sticky note to your desktop, simply double click to the application's system tray icon. Note menu, opacity and other options. 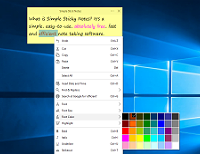 Text editing menu and color options.